The Athlete MCT/CBD oil 18% has proven very beneficial for athletes and people who do sports. MCT oil (medium chain triglycerides) is a good source of energy. MCT enters your cells without being broken down so they can be used as an immediate source of energy. This CBD product reduces lactate build-up and therefore minimize the dreaded D.O.M.S (Delayed Onset Muscle Soreness). Furthermore, a study from 2009 has found that taking MCT oil before exercise could help use fat for energy instead of carbohydrates. MCT also showed to improve the time that recreational athletes could endure high-intensity exercise. 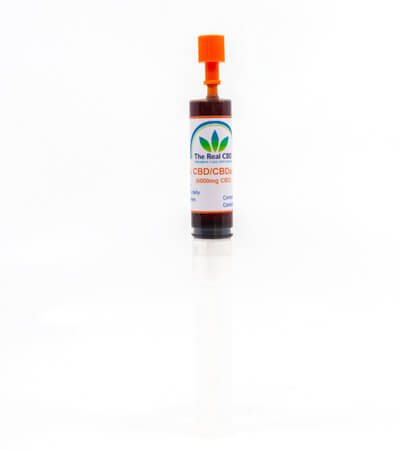 We have combined the MCT carrier oil with our full spectrum cannabidiol (CBD). Pure CBD oil is known to reduce inflammation and have a painkilling effect. It can help prevent and protect against activity-based damage as a post-workout herbal solution. When engaging in any activity on any level the entire body, including the adrenal system, must work harder than usual. During exercise, the adrenal glands are producing cortisol and release it into the blood system. Cortisol is our “stress hormone” and too much can have a negative impact on our well-being. Pure CBD oil helps to reduce the amount of cortisol in the blood.